Grandchildren keep the holidays exciting for everyone, and they're a joy throughout the year too. Celebrate wonderful little guys and gals with the 6 grandkids - loving hearts at Christmas personalized ornament from Russell Rhodes. 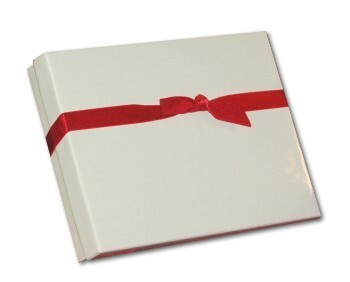 Brilliantly colored and sparkling bright, this piece makes a great customized Christmas gift for either generation. 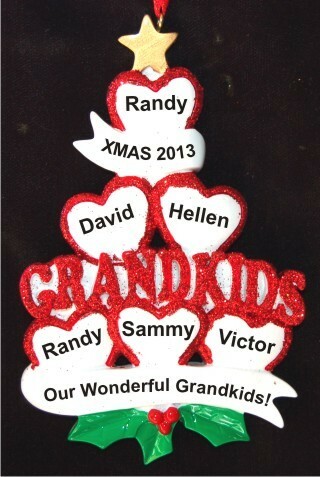 These grandparents ornaments personalized where shown include the details you provide us with. An artist will add them, though the font used will be very stylish to fit the overall design. The stacked hearts 6 grandkids personalized Christmas ornament will become an instant favorite when received in our plush and pretty velvet gift pouch.